When you are looking to open your online store there are 2 available options. You could hire a design company and have them build you a site from scratch with shopping cart and all the bells and whistles, or…you could go with the much more attractive option of implementing a ready-to-go ecommerce solution, which you can adapt to your particular needs. 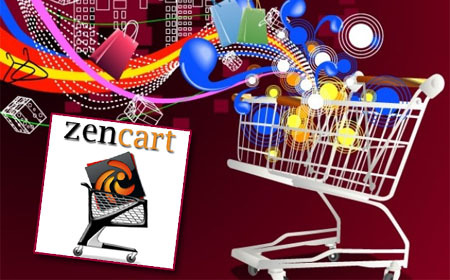 Zen Cart open source ecommerce solution is a powerful shopping cart that has proven to be very customizable, which assures you that your shop will have its own unique look, while also taking full advantage of the features, steadiness, and reliability that Zen Cart Design offers. Hey, why reinvent the wheel when there is already a free high-quality one available? However, Zen Cart Design is not quite as easy and straightforward as one may wish, due to the various options that need the assistance of someone with specialized knowledge in the field of ecommerce design and development. A very comprehensive admin panel, from which you can add to, edit and set up the entire shop with a wide array of services and products. You will not need knowledge of HTML, PHP, or any other advanced type methods to run your site. Now, I don’t know about you, but to most people, this is a biggie. Your clients can utilize discount codes, gift certificates, and vouchers in general. Access to associated merchandise, newsletters, and easy communication via email with your customers. Payments, taxes, shipping and handling, and other associated costs are controlled by zones you set. You certainly don’t want to go with an ecommerce design/development firm with little or no prior experience. Sure you expect to lay out some cash to get the job done. But, the most expensive is not always the best. Probably a wise move to ask for referrals, or maybe even Google the firm’s name and see what comes up. Obviously, the more customized your store will be, the longer it will take to complete. It can take anywhere from a week to a few months, depending on the complexity of the project, and maybe even how many projects your developer currently has going, and how many people they have working in their firm. Ask for project milestone so you can get a fair idea of how the project time is going to be used. Delays can be avoided by answering any questions your developer may have regarding the project, in a timely manner. And you, especially as the client/customer, should expect the same in return. Zen Cart Design is not easy, but in comparison to developing a brand new shopping cart from scratch, it is a breeze. IDEAS Creative Group is an experienced, reasonably priced Zen Cart web design firm. Let IDEAS focus on what they do best; programming and web design, leaving you time to take care of developing your business. Contact us for more information.